If you’re not familiar, Instagram is a photo sharing social network that has over 400 million monthly active users and 50% of people on the Internet have an Instagram account. Those numbers are huge and can’t be ignored if you sell anything online, so we have to pay attention to Instagram marketing. Lots of eCommerce businesses are strategically using Instagram to build brand awareness, drive traffic to their website and get more customers. And you can too! I’ll be honest with you. I didn’t take advantage of Instagram marketing as much as I should have with Crafty Pie, and I think I missed out on a lot of sales and potential brand awareness. 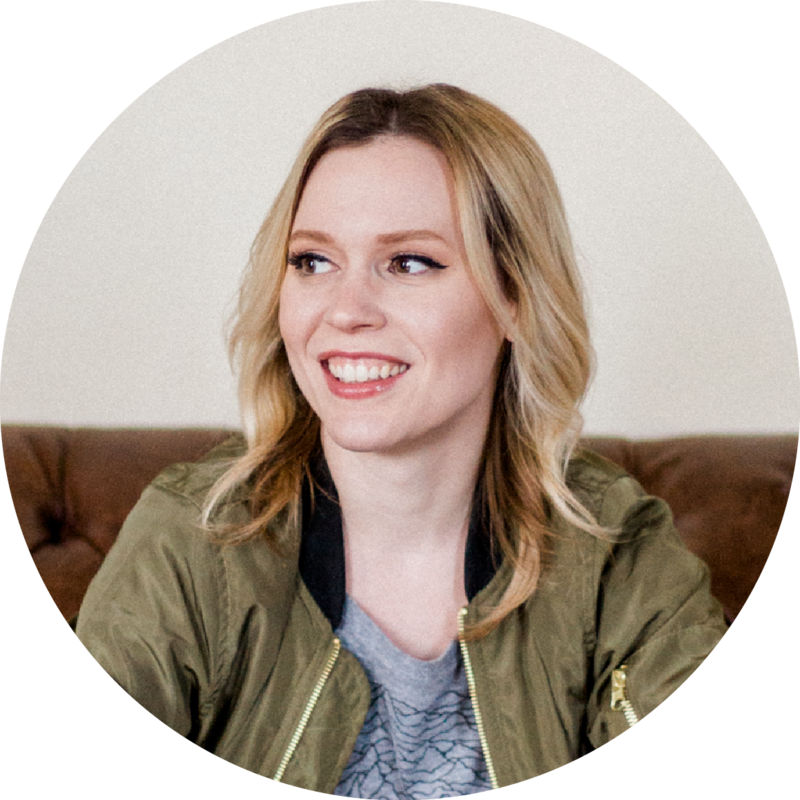 But I’ve been implementing just some of these strategies with Bex Creative in the past couple of months and I’ve already seen a 37% increase in growth! So just imagine what you could with it in your own business. So here are the 20 ways you can use Instagram to grow your eCommerce business. Instagram is all about the visuals, so having clear, well-lit photos is an absolute must. You don’t have to have a fancy setup to do this either. You can simply use your smartphone camera and some natural light from a window. Using lifestyle photos rather than just product photos on a white background is much more compelling. A lifestyle photo shows your product being used naturally in everyday life. It’s also helpful if your photos have a cohesive theme. That could be in found in anything from the color palette used to the filters to the mood that’s conveyed in the photos. A great example of this is Shore Projects, a watch brand that’s inspired by the British seaside. You can see that every other photo is a lifestyle photo showing off their watches, while the rest are images of the British seaside. 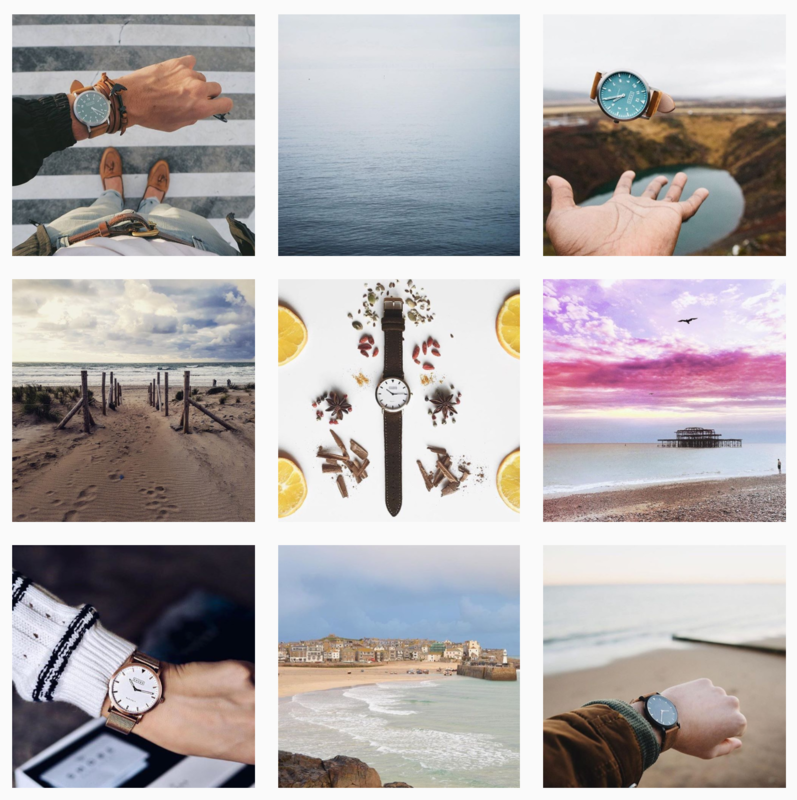 It’s cohesive and fits their brand perfectly – this is Instagram marketing done right. It’s recommended that you only post to Instagram once a day as opposed to Twitter, where you need to post multiple times a day. This lessens the amount of time that you need to take to create content and post, making Instagram marketing a little easier than marketing with other social networks. You’re welcome to post more or less than that – it’s all about quality over quantity. However, posting at least once a day will help grow your followers more quickly. Running a giveaway on Instagram can help increase the number of followers you have and build brand awareness. It can also provide you user-generated content that you can reuse for marketing purposes. There are a few different types of giveaways you can do, all of which are great for Instagram marketing. There’s the simple but effective “like this post” giveaway, in which you ask users to like your post and follow you. Another option is to use a hashtag user-generated content contest, which is my personal fave. This is where you ask the participants to post a photo, usually of themselves with the product or doing some type of activity relevant to the content, and they have to use a specific hashtag. Don’t forget to promote the contest through your other marketing channels like email or Facebook. Posting a 30 day challenge is a great way to engage with your followers and also gives you content to post about each day. Make sure to create a hashtag for your challenge that others can use when they participate. If you’re a fitness brand, an example might be a 30 day fitness challenge. If you sell organizational products, it might be a 30 day ‘get organized’ challenge. You can get really creative with this and make it fun for your followers. 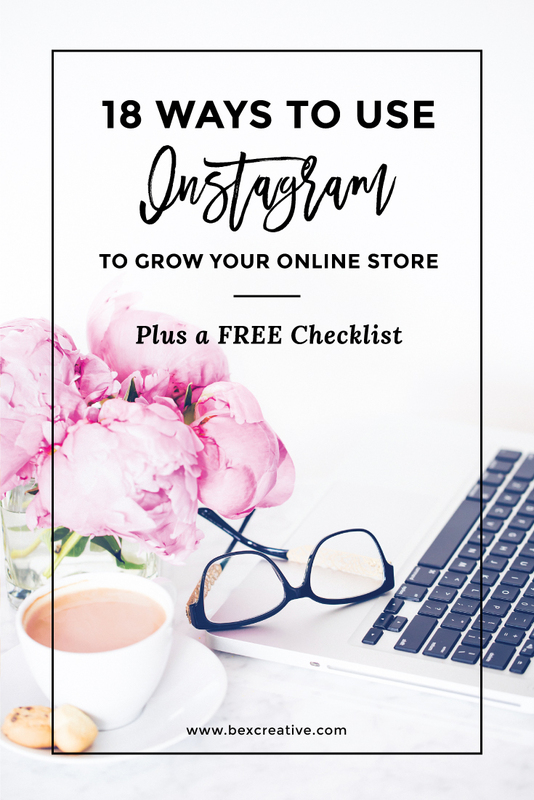 This is extremely important for Instagram marketing to promote your online store. This is the best way for people to find you and engage with your posts. Instagram allows you to use up to 30 hashtags and, according to Track Maven, posts with 11+ hashtags have the most engagement. So try to take advantage of as many that are relevant to your niche as possible and post. You can find hashtags much like you would do keyword research. See what your competitors are using and copy them into a document. You can also go to instagram.com and use the search bar to find relevant hashtags. This will also tell you how many posts use that hashtag, which can give you an idea of the reach you can get from using that hashtag. Just like using long tail keywords, you can use low competition hashtags which will give you a better chance of turning up at the top of the search feed for that hashtag. It’s good to have a mix of high, medium and low competition hashtags. Just like the amount of times you post, the time of day that you post is also important for engagement. If you use a social media scheduling app like Buffer or Iconosquare, they will tell you the best times to post, and will schedule your posts to go out at the times of day with the highest engagement rates. If you want to know where your customers are on Instagram, just go to your competitors. See who likes their page and then engage with them, follow them, like their photos and leave them comments. Be authentic and not spammy. Don’t just leave generic comments that aren’t relevant. If you’re going to comment, be genuine. Scheduling your Instagram posts can save you time by batching them out. 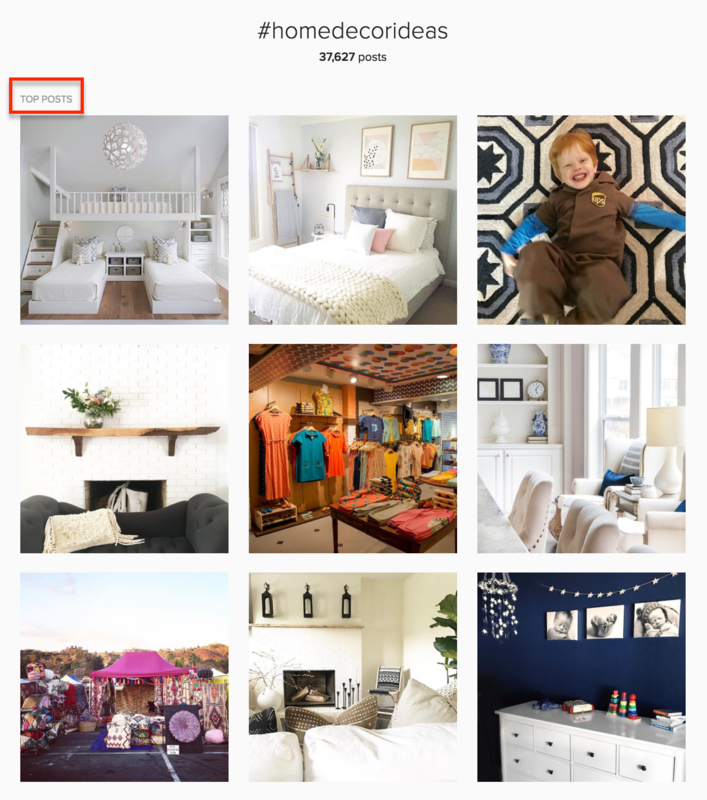 Create a content calendar for your Instagram in the same way you would with your blog. Then you can create the content and schedule it out a week, two weeks, or even a month in advance. You can use a tool like Buffer, which is free for one account, or Iconosquare, which has a free trial. Optimize your profile with a call-to-action link that gives them your lead magnet like a coupon code, an email course or some other free resource. Then use a tracking URL and URL shortener like bit.ly to send them to a landing page. From there, you can get them to sign up to your email list in exchange for the lead magnet. Then use a Goal Conversion Funnel in your Google Analytics to track how many signups came from Instagram. When your customers purchase from you, ask them to take a photo and use your hashtag in your post-sales email sequence. Then you can use these photos as reviews and additional product photography on your site. West Elm does a great job of this on their site. 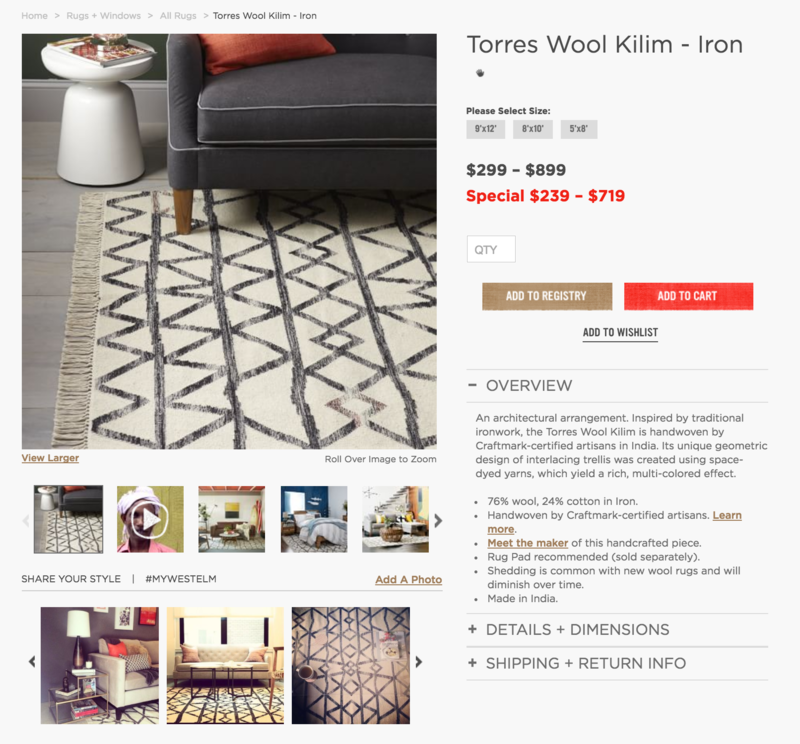 On the product page, they ask their customers to use the hashtag #mywestelm to show off the product and then it gets added to their product page photos. Not only is this is a great way to engage with your customers, but it provides social proof to potential customers and it creates user-generated content that you can then reuse on your Instagram as long you credit their photo and mention them in the post. Influencer marketing is a great way to get the word out about your products. You can find influencers relevant to your niche who will post about you on their social media if you give them free products or pay a small fee. This also goes along with user-generated content because they are creating lifestyle photos of your products that you can then reuse for your marketing. It’s a win-win! You can find influencers on sites like Whalar or Famebit. You can also reach out in various blogging Facebook groups to find bloggers in your niche that want to partner up with you. You don’t want all of your posts to be salesy, but you also can’t be afraid to ask for a sale or promote new products on your Instagram. You can do this without being sleazy. Just write about your product like you’re recommending it to a friend. Make sure to highlight the benefits, not just the features. People want to know how it’ll help them or make them feel. This is a great way to show that you’re a human and not just some robotic brand, and is perfect for Instagram marketing. You can share a behind-the-scenes photo or video of your work space or what your team is up to. People buy from other people, not faceless brands. Educating your customers on your products is a great way to give your customers more value. You can share a how-to, show how your products are made, make a video of your packaging, give them a look at the materials, or give them tools or resources they can use to go with your products. Humorous posts, if used right, are another way to show that there’s a real person behind the brand. This is great for Instagram marketing, and will usually get a lot of engagement from your followers. A humorous post could be a relevant meme or animated gif. Just be careful with humor – it may not work well for your brand, and not everyone has the same sense of humor. If you post something too crass or out there, it may not resonate. Inspirational quotes work really well on Instagram. Find some quotes that relate to your niche. For example, if you sell travel products, you can google “travel quotes” and lots of ideas will pop up. Then use your favorite graphic editor like Canva or Illustrator to overlay some text over a nice stock photo and voila, you have an inspirational post. I know I’ve mentioned Iconosquare previously as a great tool for scheduling posts, but it’s also really useful for analyzing your Instagram data. It can really help you see which hashtags work well, your engagement rate, and your overall growth. This is a great way to track your growth and make sure you’re hitting your goals. Check through your list of hashtags and see which ones are at the top. You can see what these posts are doing compared to yours to get ideas. What makes it a top post? The engagement rate. This is the amount of likes and comments compared to the amount of followers. As mentioned in 17, you can check your engagement rate in Iconosquare. So even if you have a small amount of followers but you’re getting a lot of likes, you’ll have a higher engagement than someone with many followers but fewer likes, making it more likely to become a top post. This will then give you even more exposure to your Instagram account. Do you plan to grow your Instagram account this year? Do you have any tips for Instagram marketing? Leave a comment below. I’d love to hear them! Thanks for all of your great tips!! Love the idea of following a 30 day challenge!